I will never understand why everyone loses their collective minds when it snows. Folks, we did this last year, the year before that, and the year before that, remember? Frozen Food Safety During a Power Outage - We were able to keep some of the food in our refrigerator and freezer from spoiling by putting it into a cooler in the garage during our multi day winter blackout. This post will help you know what you might be able to safely keep and what you should toss. Make a No Slip Stay Put Door Draft Dodger – Putting draft blockers on our closet doors made a world of difference! Who knew? I’ll tell you knew about draft coming out from under the closet doors on outside walls of our house – me! Renters as well as homeowners can use the tips in my post Save Money! Find and Fix Air Leaks and Drafts. Make Microwave Hand Warming Gloves – toasty! Don’t forget your pets! They can get frostbite too. We use Musher’s Secret Paw Wax (affiliate link) to protect Lacey’s paws from ice and cold because she hates wearing dog boots (to put it mildly.) 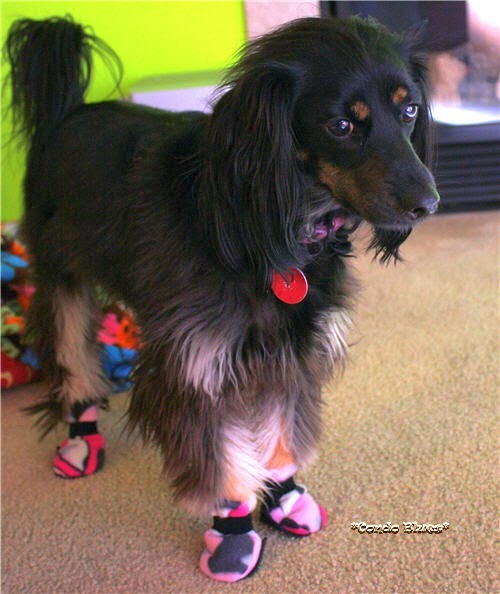 Check out my Condo Blues Dog Coats and Boots for Dogs Who Hate Wearing Clothes to Buy or DIY! to check out the types of cold weather gear Lacey will tolerate wearing when the temperature drops. I can deal with Lisa’s DIY dog coat. The boots she made from her How to Make Dog Boots tutorial? Yeah, I ate them two days after she made me wear them. Heh. And finally, if you find yourself surrounded by snow and there aren’t any sleds to be found check out my roundup 5 DIY Sleds! Because playing in the snow is fun no matter how old you are! 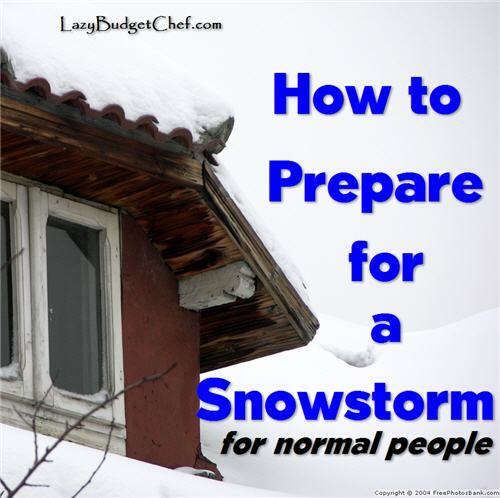 For more snow storm preparedness supplies check out the options - and more! - below!